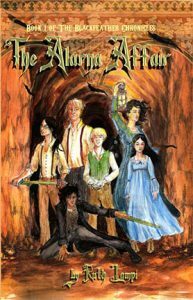 The completed first book of The Blackfeather Chronicles set in the world of Shandor. It is a story about trains, archaeology, tomb thieves, monsters, mysterious academics, and a winged apparition. You can read it online, buy a paperback, or buy the ebook on Amazon.